One player who has been linked all summer with a move away from Chelsea is Willian. It now seems that Chelsea are resigned to losing him and have set their price as £80m. Before I say anything here it's important to remember one thing, if a player no longer wants to be at your club, has expressed a desire to leave or has stated that he is thinking of leaving then in my view there is no point trying to keep him. That was the case with Diego Costa and Nemanja Matic last season despite all the ridiculous reports stating otherwise. 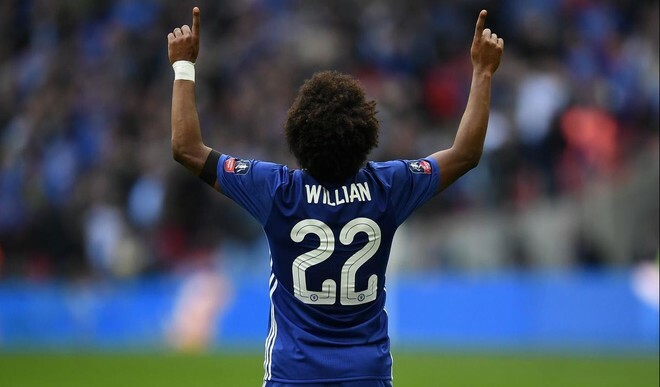 So to Willian and I will be sorry to see him go because of what he has done for our club and for the effort he has always given us wearing Chelsea blue up to around February/March last season. After that point, what I standing there watching was NOT the player we had fallen in love with, but someone who looked like wanting a new challenge. Some people may not agree with me but for those of you who travelled to watch the blues week in, week out in those final months of the season, you would have to admit that the hunger and desire had gone. What we had to sit and watch was a player frustrated with life at Chelsea off the pitch letting his frustrations get the better of him on it and it was not good at all. It was clear that he has issues with the current head-coach. We are so used to seeing Willian work wonders with the ball at his feet whether that was to create an opportunity or to set up a chance for himself on target. If for whatever reason he lost the ball or our attack broke down, Willian would work tirelessly to track back, to hunt the ball down to win it back again as quickly as possible to put us back on the front foot. 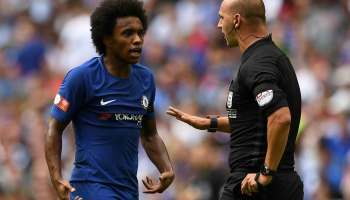 As I have said, in the last couple of months of last season we had to witness Willian not doing that and if anything the complete opposite. While the ball was at his feet he was OK. As soon as he lost it he didn't track back with any hunger or desire to win the ball back, he was found walking around the football pitch (with others and that's important to note) and constantly moaning at the match day referee for not being awarded a foul which he felt should have been given. 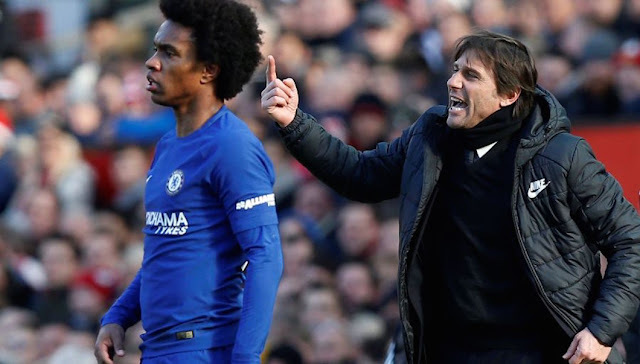 If we are honest, Willian has had to settle for a role within our squad of rotation ever since Antonio Conte arrived in London. He had a family bereavement last season which saw him given time off to mourn but to that point his first-team place was not nailed on. When he came back he was flying and played a big part in our push for the title but still had to settle at times for a place on the bench with Pedro taking the opportunities being given to him with both hands. It has been the same again this season but Willian has had the majority of the time on the pitch compared to the Spaniard who has been disappointing this past year. So we now find ourselves in a situation where the player has expressed an interest in leaving Chelsea no matter who is to be in charge at the start of the season and the club (according to reports) have named their price to potential suitors of £80m having already reportedly rejected an offer of £50m from Barcelona. To be honest, your guess is as good as mine when it comes to trying to predict what will happen, however you can bet online with 12bet if you think you know where he will end up! 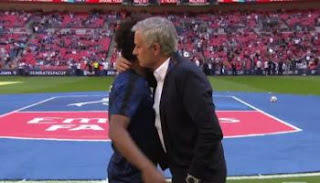 We all know that Jose Mourinho is a long time admirer of the Brazilian play maker and for me it became clear before the kick-off in the FA Cup Final the Portuguese was tapping him up as seen on screen by all of us with both chatting to each other with their hands over their mouths so the TV camera could not see what they were saying to each other. I expect United to offer Chelsea around £40m and Anthony Martial in exchange - a deal I would bite your hand off to take. As for Barcelona, a number of players are being touted as being offered in exchange but I wouldn't take any of them as most are bit-part squad players although we would all favour a move to La Liga rather than Old Trafford. It's a real shame it's come to this in my view and we thank Willian for what he has given us since he arrived. Our outstanding player of the year three seasons ago and someone who stood up to be counted whenever we needed him with or without the ball. Now someone who doesn't seem that bothered and wants to leave. I just hope we can get what we want for him.